I cooked this for my Mother-in-law. As each year she would 'Lo Hei' with us but cannot eat the dish as it had Salmon/abalone/jellyfish in it. 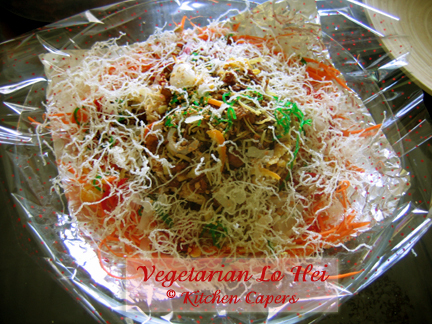 So I made a Vegetarian version just for her and this year, we Lo Hei with her instead and eat it too. she was all smiles, and felt very 'prosperous"
1. 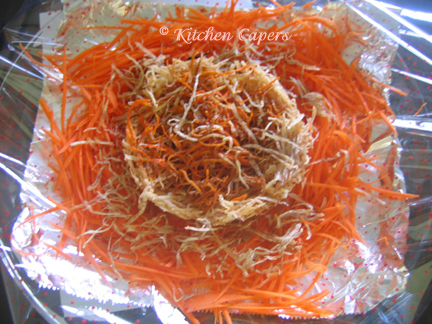 Deep fry shredded Yam, Pumpkin, Potatoes and Tang Hoon till crispy. Set aside to drain excess oil on paper towels. 2. Crush crispy Glass noodles into smaller bits. 3. 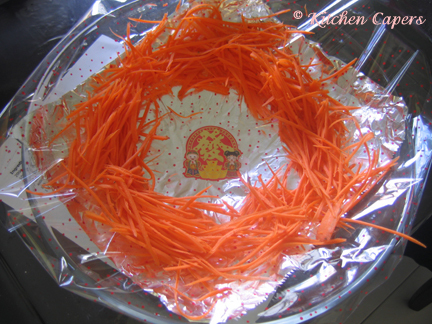 Use a large plate and line with aluminium foil. 4. 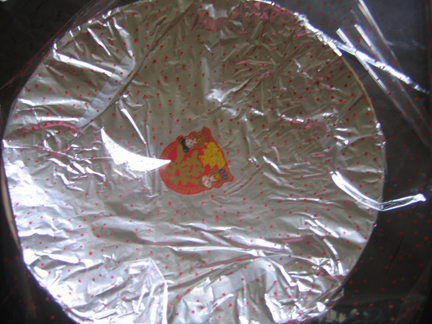 Paste a Good Luck(CNY) sticker in the centre of the foil. 7. 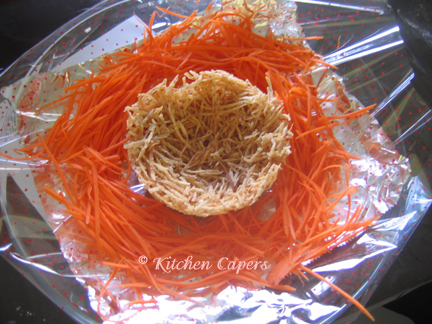 Add a Golden Nest(either made of Yam or Potatoes..optional) in the centre. 8. Add all the crispy ingredients in the nest. 10. To serve, pour Plum Sauce, Pepper, Cinnamon powder on top..